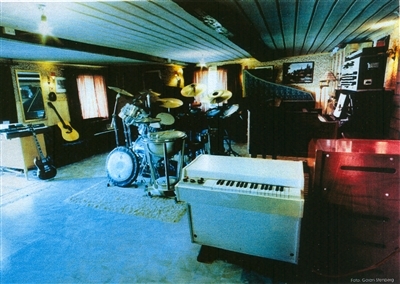 The ultimate Scandinavian studio for vintage keyboard recordings. 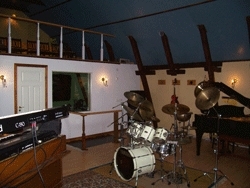 This studio has instruments like: Hammond B-3, C-3 + L-100 & Leslies 147, 760 & Custom Built Trisystem Leslie, Mellotron Mark 5 with unique sounds and Clavinette. Harpsichord, Steinway, Bechstein and Blüthner grandpianos and many vintage synthesizers as well as the know how to both keep instruments in perfect condition as well as capture their sound on the recordings. Flexible system with Analogue, Digital recordingtechniques such as Logic . 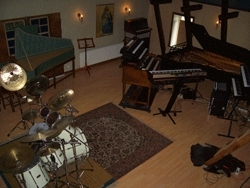 Crimsonic Label Studios are located outside the city of Enköping, near Stockholm and Uppsala. Crimsonic Label was founded in 1994 as a recordlabel dedicated to progressive rock and other independent styles of music. The label will in the future continue to produce CD´s with musicians from many countries. Crimsonic Label has so far released eight CD´s, Linked to Crimsonic Label is the publishing company Nordverk.